Every maker has a story. Be a part of Eclectic Studio by Lucy's story by placing an order, leaving a review, and seeing your review appear here. 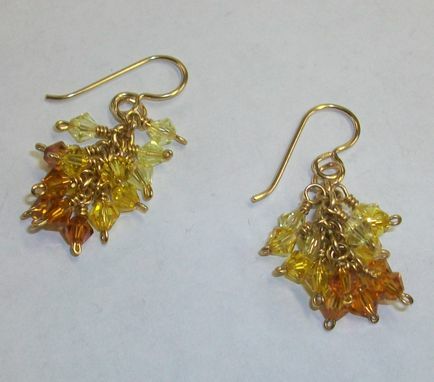 Cluster dangle earrings. Using 3 colors, I wire wrap each bead to a chain connection creating a cluster drop. The image is using Gold Filled Ear Wires, but I can change it and use Sterling Silver wires for this item.